The antennae on top of the John Hancock Center are taller than the Statue of Liberty. By quite a bit, actually -- the Statue of Liberty is 305ft, almost 25% less than the antennae's 379ft. 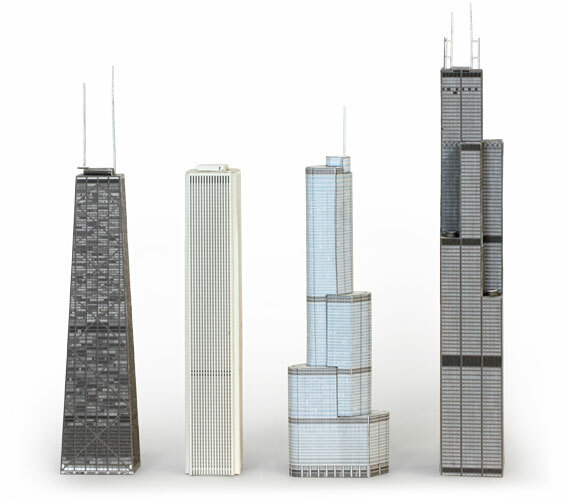 To put this another way, the Hancock antennae alone would be the in the top 150 tallest structures in Chicago, and would have been the tallest structures in Chicago until the Montogmery Ward building in 1899 (394 feet).